Pizza in America is food that is often only loosely connected to its origin in Italy. 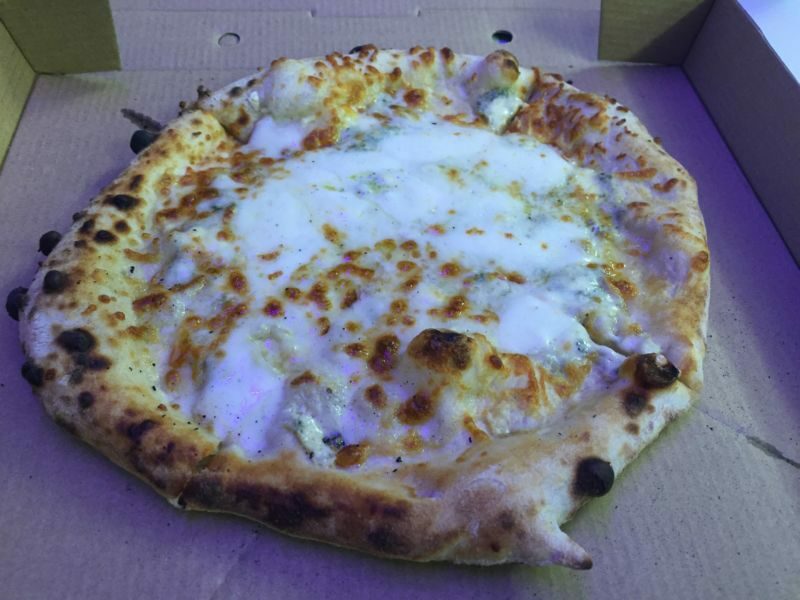 The Mozzeria food truck is an exception; the pizza they serve is a well-crafted example of the Neapolitan original. If the quality of their pizza was not by itself justification for mentioning them, their staff are noteworthy in their own right. The food truck servers and chefs are deaf. 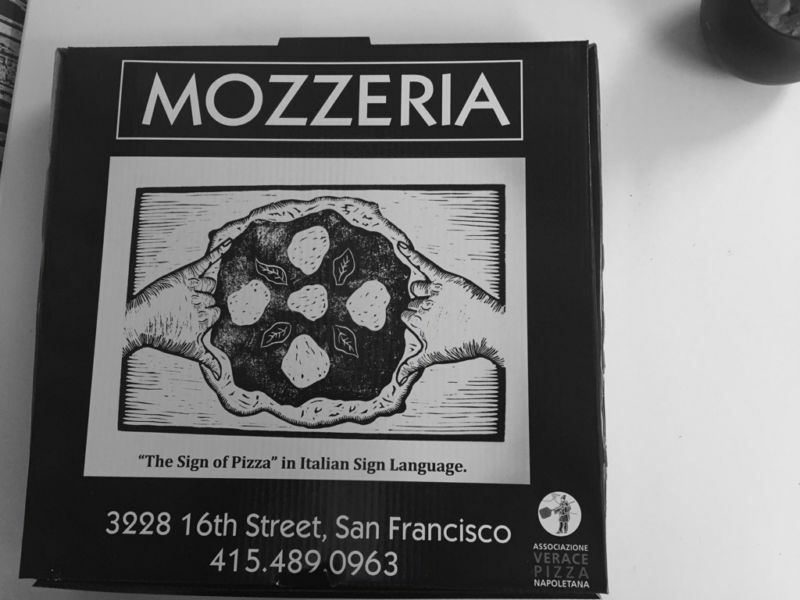 The menu on the truck assigns a letter to each item you can order and has a graphic that shows how to use sign-language to indicate that letter. Once your order is taken you are given a card with a letter and its corresponding sign. This does mean that you need to watch the truck as instead of calling out an order number, the staff will use the appropriate hand gesture; in other words you need to tear your eyes away from your mobile phone for a few minutes. The food truck sells small pizzas, each priced around $10; ideal for lunch. I have tried several of the options, but my favorite is the Quattro Formaggi; which is layered with grana padano, gorgonzola, fresh mozzarella, and chèvre. They pull of the difficult trick of not having the gorgonzola dominate the taste. The crust is always excellent; crisp, but not over-cooked. Mozzeria is one of a handful of trucks that I visit every time they turn-up; ignoring the other options. I am very tempted to try their restaurant.